Our organization is engaged in offering a wide range of Bronze Casting products. We develop these casting products using high quality brass and other material. Furthermore, our qualitative range of brass casting is extensively used in engineering industries. As per the convenience of our clients, we are offering these brass casting in different sizes and dimensions. 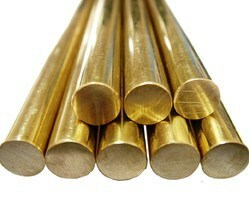 We are leading manufacturer and supplier of Bronze Bar and our product is made up of good quality. We offer our Bronze Bars in various sizes and tensile strength so as to meet the extensive demands of the customers. The clients can avail the Bronze Bars from us at an affordable price. We are leading manufacturer and supplier of Continuous Cast and our product is made up of good quality. 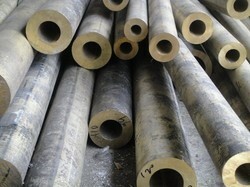 Continuous cast in the major bronze distributor, stocking many grades of alloys. Our services include on-site cutting, milling, and turning. We pride ourselves on our ability to fulfill your order quickly and in the exact shape and size you require. In addition to traditional alloys, we can also supply virtually any grade or size of bronze. 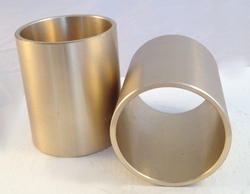 We are leading manufacturer and supplier of Cast Bronze Bearings and our product is made up of good quality. We are leading manufacturer and supplier of Tin Bronze Alloy and our product is made up of good quality. Tin Bronze Alloys Backed by a team of experts and well-equipped manufacturing unit, we present wide gamut of tin alloys, tin bronze alloys, tin bronze castings, tin bronze rods etc. In order to ensure quality we produced our range in accordance with set international norms of quality. Tin bronze alloys are known for their corrosion resistance, high wear resistance and low friction coefficient against steel. We are leading manufacturer and supplier of Leaded Bronze Alloys and our product is made up of good quality. 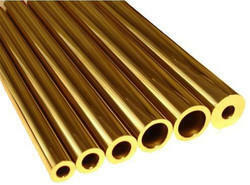 Leaded Bronze Alloys Presenting an array of leaded bronze alloys, leaded bronze rods, leaded bronze hexagons, leaded bronze bars that are developed from the highest quality of materials under the supervision of expert engineers. The leaded bronze alloys are known for their resistance towards corrosion, abrasion and their long service life. Our expertise in the industry enables us to provide the range in undermentioned grades and composition, suitable for variegated industrial applications. We are leading manufacturer and supplier of Non-Ferrous Casting and our product is made up of good quality. Backed by an advanced in-house Wet lab and online Spectro Meter analysis facility, we are able to offer the superior range of products to the customers. We are leading manufacturer and supplier of Tin Bronze and our product is made up of good quality. Our range is available in below-mentioned specifications and chemical composition for specific requirements.